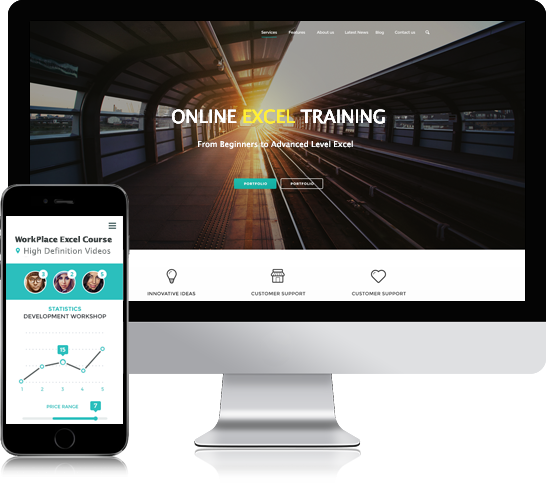 Get your own personalized Online Excel Training Course to help you learn Excel effectively with your own tutor, personalized study plan and timetable. If you want to learn Excel at your own pace and focus on what you need to know for your own particular job, try our personalized online Excel Course, available on your laptop, tablet or phone 24/7. Unlike most online Excel courses, our Online Excel course includes all levels of Excel in one package. After you join, your tutor will get you to do a quick online assessment which will allow us to gauge your current skill levels. From this, your job position and your daily usage of Excel, we will create a personalized program for you to follow –indicating which Excel techniques and functions to concentrate on together with a timetable to follow. Your tutor will be available for you for questions, help and discipline until you reach your Excel Goals. In our online Excel course you can take an assessment at the end of each module to achieve up to 4 levels of certification. Our online Excel course online covers Excel 2007,2010 & 2013. This online Excel training course is available for individuals or group staff training where usage can be tracked by an administrator. Video tour of our Excel Course. Each Excel test is comprised of about 10-20 questions, covering beginners, intermediate and advanced Excel Levels. Each Excel test will be timed. At the end of each Excel Test, you will get your score and feedback will be given to you for each question, emphasizing your areas of weakness. Should you need any advice or help, maybe about the Excel test results, or advice on what level of Excel you would need for a certain job or what Excel functions and techniques would be necessary for a specific job, please feel free to contact us. When I type a number into a cell, it's coming up as a date.What should I do? How can you configure the worksheet to show the formulas instead of the results. 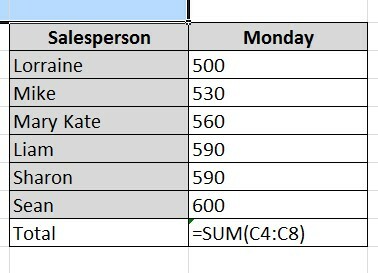 Go to the Formula Ribbon and click on 'Show Formulas"
I want to find the average sales for Monday based on the data below. Which formula or function is correct ? What is the fill handle and how do you use it? It is mainly used to create a list like weekdays and months. It is used to copy Functions and you need to get the cross hair cursor shape before you use it. It will copy Functions and Formulas. You need to get the cross hair cursor shape before you use it. It copy formats and you need to get the cross hair cursor shape before you use it. Why has Excel put a Green mark in our Function cell? There is an error which must be corrected before you can proceed. 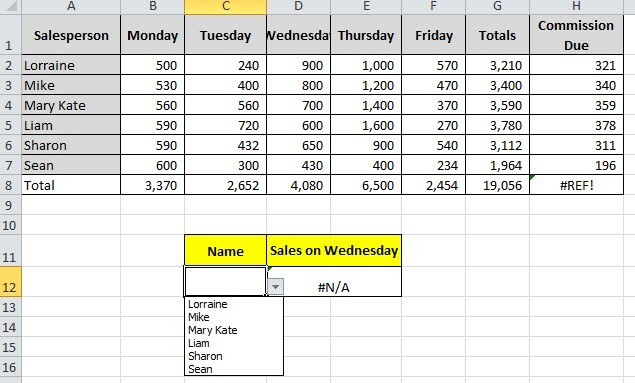 Excel is saying there is a possible error , so you need to double check your formula. I want to find the largest number in a range of numbers. Which Function should I Use? The SUM and AVERAGE Function together. I have come across this Function =INT(A2) and I don't understand what it does.What is the quickest way to find out? I have a value in cell A1 in Sheet1 worksheet and I have a value in cell A1 in sheet2 worksheet. I want to create a formula in worksheet Sheet3 which will add them together.Which is the correct formula. I want to freeze row 3 of my worksheet.How will I do it? I want to filter the data below to see a list of orders where the revenue figure was greater than $15000. Click on list.Go to Data>Filter. Then click the filter beside revenue and look for 15000 to select. First sort the revenue figures highest to lowest, then apply filters. Click the filter beside revenue and look for 15000 to select. As per spreadsheet image, we want to create a formula in cell J4 which will work out the commission due to Lorraine. The Commission rate is in Cell F1. We will want to copy down these formulas. From the list below which is the most effective formula. As per spreadsheet image, we want to create an IF Function in cell I2 and copy ,which will output True if the commission is greater than or equal to 350 or leave the cells empty if not. Pick the IF Function below which does this. We want to create a VLOOKUP Function in cell D12, which will return the Wednesday sales figures for whatever sales person is entered into cell C12. Which of the VLOOKUP Functions below is the best. 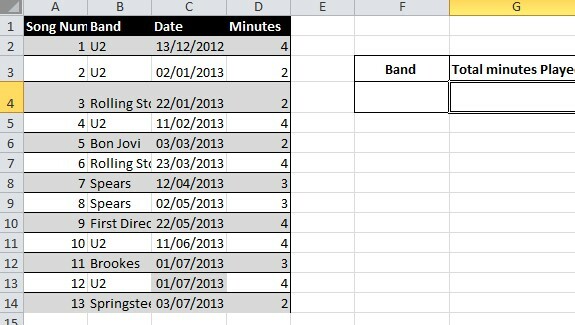 We need to create a SUMIF Function in cell G4,which will give us the total minutes played for whatever band is typed into Cell F4. Which of the SUMIF Functions below is correct and the most effective. 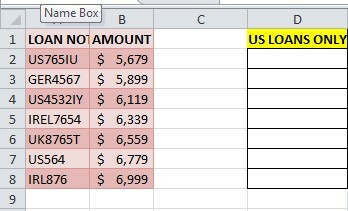 I need to create a formula in D2 downwards which will only show loans from identifiers in column A beginning with US. Which of the formulas below do this successfully? What number does Excel associate with the date 2 December 2014? I have created a dropdown box in sheet1 like the image below. 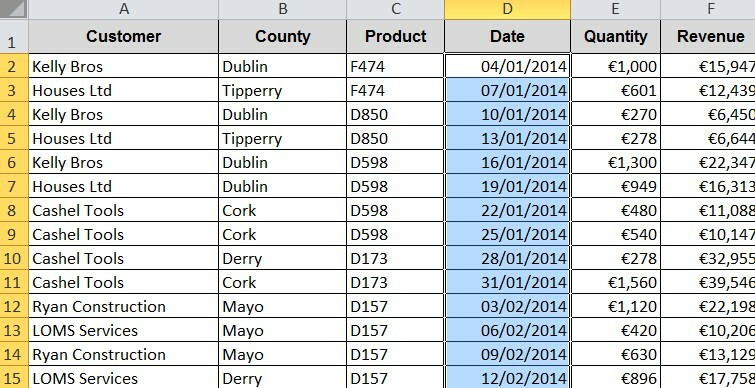 I want to create the same dropdown list in sheet2, which of the statements below is True? I can go to sheet2, and then go to Data>Data Validation>Allow >List and then put =$A$2:$A$7 into source box. Because the cell in C12 is empty, the VLOOKUP Function in D12 is showing the #N/A Error message. How can we hide this error message. Which of the following will do this effectively? Keep a value in cell C12 at all times. I want to create a macro of a logo which I want to be able to place in different positions in various worksheets of various workbooks. What much I make sure I do? I need to create an absolute reference macro and store it in New workbooks only. I have various conditional formats on my worksheet. I just need to delete one of them. How do I do this? 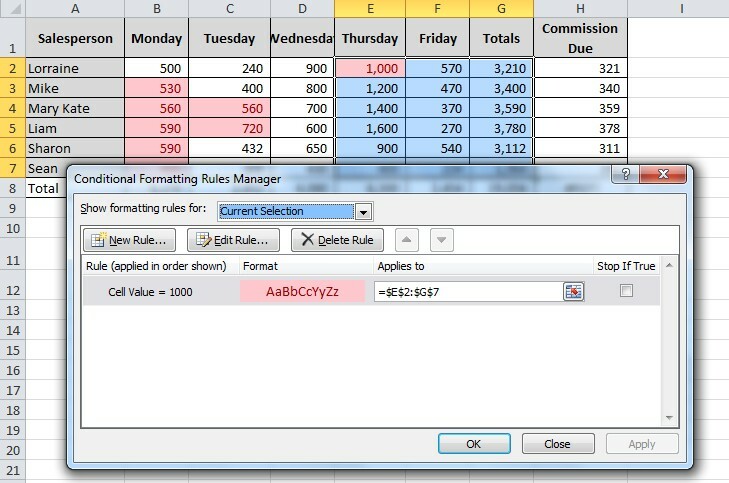 Go to Home>Conditional Formatting>Manage Rules>Choose ‘This Worksheet’ in Show formatting rules for dropdown list. Then highlight the relevant conditional format and delete it. Go to Home>Conditional Formatting>Manage Rules. Then highlight the relevant conditional format and delete it. 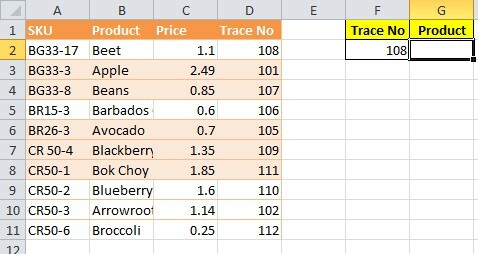 In the spreadsheet below, I want to create a formula in cell G2 that will bring back the product name of whatever Trace No I put in cell F2. Which of the formulas below will do this in the most effective manner. 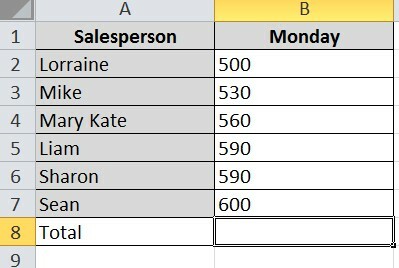 In relation to the question one above, I am not happy using the column number for Products in my formula. 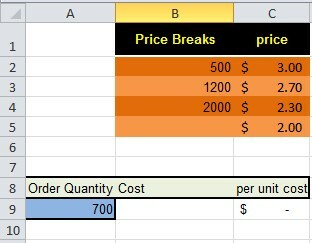 I want to make my formula completely dynamic in case extra columns are added to the list. Which of the formulas below will achieve this? In cell J2 of the spreadsheet below, we want to create a function which will tell the revenue figure for the product sold (cell I2) by the salesperson in cell H2. Which of these formulas achieve this.? Similar to the question above, but this time, we want to count in cell K2 the number of sales a particular salesperson sold of a particular product. Which of these formulas achieve this? 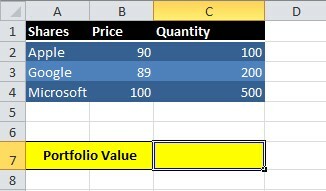 I want to use a SUMPRODUCT Function in cell J7 to work out the value of my portfolio, as in the spreadsheet below. Which Function below will do this effectively? 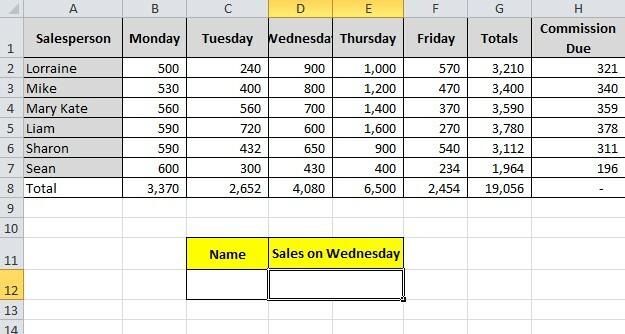 I want Excel to move dynamically from cell A1 down three rows, then to move across four columns and add that value and the value below. The answer needs to be displayed in cell A7. Which formula below will do this? In the spreadsheet below, a business owner charges a different price for the apples he sells, depending on the quantity you buy. He wants to create an nested IF Function in cell B9 to automatically work out the price for any quantity ordered. The ordered amount is put in cell A9. Which of the below IF Function would do this? In relation to question 7 above, what would the Function be if he wanted to use cell references for the price breaks instead of using 500,1200 and 2000 and cell references for all the different prices.